Author: James R. Hamill CPE Credit: 2 hours for CPAs 2 hours Feder.. Author: Marcia Miller CPE Credit: 2 hours for CPAs 2 hours Federal.. Author: Lewis Fisher CPE Credit: 2 hours for CPAs We will .. Author: Annette Nellen CPE Credit: 2 hours for CPAs 2 hours Federa.. Author: Jennifer Kowal CPE Credit: 4 hour s foAuthorr CPAs 4 hours.. Basic experience with choice of entity and tax issues involved in entity formations. Comple.. 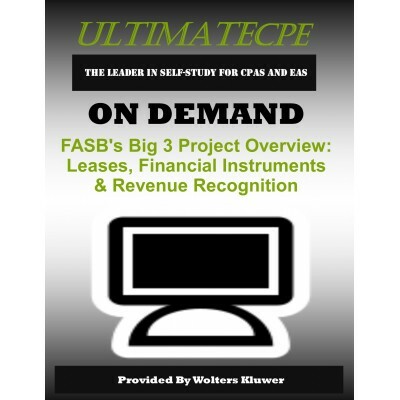 Author: Lewis Fisher CPE Credit: 2 hours for CPAs Retail a.. Author: Pat Patterson CPE Credit: 2 hours for CPAs Learn a.. Author: Robert K Minniti CPE Credit: 2 hours for CPAs This.. This presentation centers around the most common errors and regulations that impact the professional.. Author: David Osburn CPE Credit: 2 hours for CPAs Today’s .. Author: Laura Madeira CPE Credit: 2 hours for CPAs Prepare.. 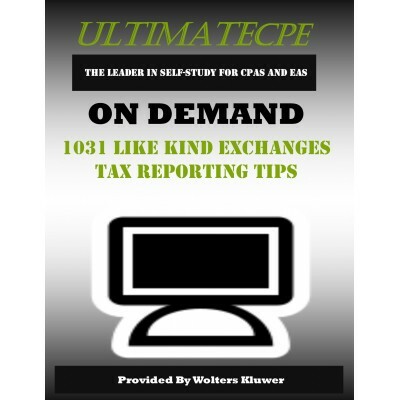 Author: Sidney Kess, Barbara Weltman CPE Credit: 1 hour for CPAs .. Author: Barbara Weltman, Sidney Kess CPE Credit: 1 hour for CPAs .. Author: Mark Luscombe CPE Credit: 2 hours for CPAs 2 hours Federal.. Author: Steven G. Siegel CPE Credit: 2 hours for CPAs 2 hours Fede..